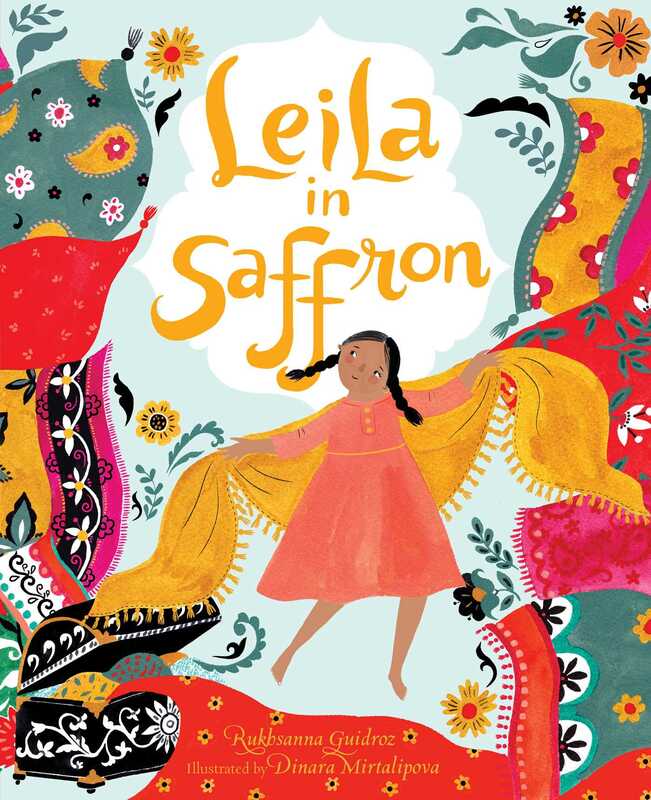 A colorful journey of self-discovery and identity, this sweet, vibrant picture book follows young Leila as she visits her grandmother’s house for their weekly family dinner, and finds parts of herself and her heritage in the family, friends, and art around her. Sometimes I’m not sure if I like being me. When Leila looks in the mirror, she doesn’t know if she likes what she sees. But when her grandmother tells her the saffron beads on her scarf suit her, she feels a tiny bit better. So, Leila spends the rest of their family dinner night on the lookout for other parts of her she does like. Follow Leila’s journey as she uses her senses of sight, smell, taste, touch to seek out the characteristics that make up her unique identity, and finds reasons to feel proud of herself, just as she is. Rukhsanna Guidroz was born in Manchester, England. With a Persian-Indian father and a Chinese mother, Rukhsanna was always drawn to traveling to faraway places. After studying French at King’s College, London, and political science at the Sorbonne, Paris, she left for the steamy shores of Hong Kong. There, she worked as a reporter for the Hong Kong Standard daily newspaper, and later as a producer of the current affairs show Hong Kong Today for RTHK’s Radio 3. She also wrote features for in-flight magazines for China Airlines, Qantas, and Emirates. Inspired by all her life experiences from Europe to Asia, and now to Hawaii, Rukhsanna has many written adventures to share. Dinara Mirtalipova is a self-taught illustrator and designer. Born and raised in Tashkent, Uzbekistan, she studied computer science at the Tashkent State University of Economics, however her true passion was always pattern and illustration. Raised in Soviet Uzbek culture, Dinara’s artwork is greatly influenced by Uzbek and Russian folklore. Currently, Dinara works from her home studio in Sagamore Hills, Ohio. She uses a wide range of materials and tools, such as linoleum block, gouache, acrylic, and more.